Happy Monday, friends! I hope y'all had a relaxing weekend, we sure did. The weather is starting to cool off a bit and we're getting more and more tastes of fall aka the best time of year! I literally told Michael at lunch yesterday that I feel like a better person come fall because this weather and time of year seriously gives me life! Haha! I'm so excited to share this look with y'all today. 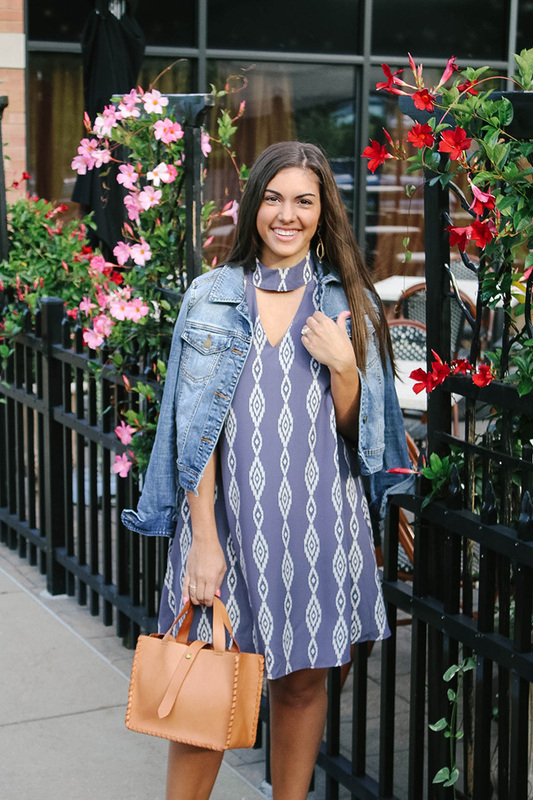 I think it's perfect for transitioning into fall and pretty much just love everything about a good swing dress paired with a denim jacket! This adorable dress is from my friends at PinkBlush. If you haven't checked out their site before, you must! 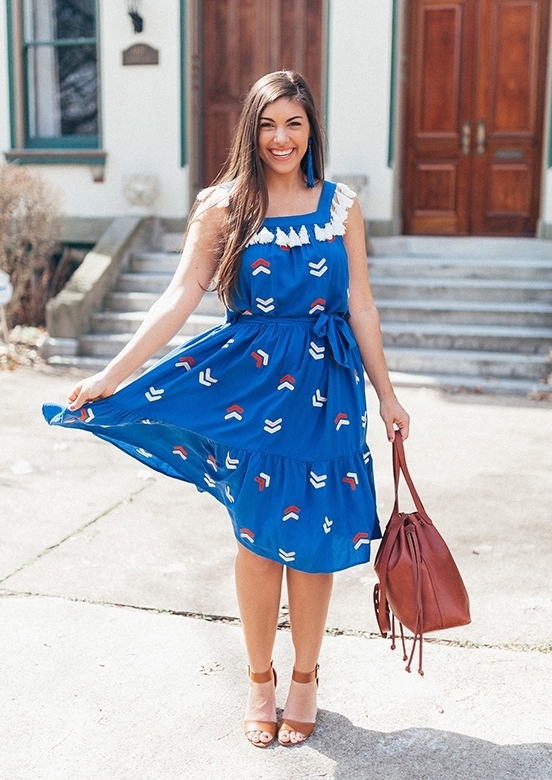 So many adorable pieces and all super affordable. What more could you want?! They also have maternity styles, so all my mama friends out there, this is for you, too! I have always been a dress girl and will wear dresses as far into the year as I possibly can. The color and print of this little number are perfect for transitioning between seasons and when in doubt, throw on a denim or leather jacket, pair with your favorite booties and call it a day! Post created in collaboration with PinkBlush. All thoughts and opinions are my own!